With its small class sizes, individualized program for regular and special education students, child-centered curriculum, Tutelage Learning Center is every parent’s dream school. 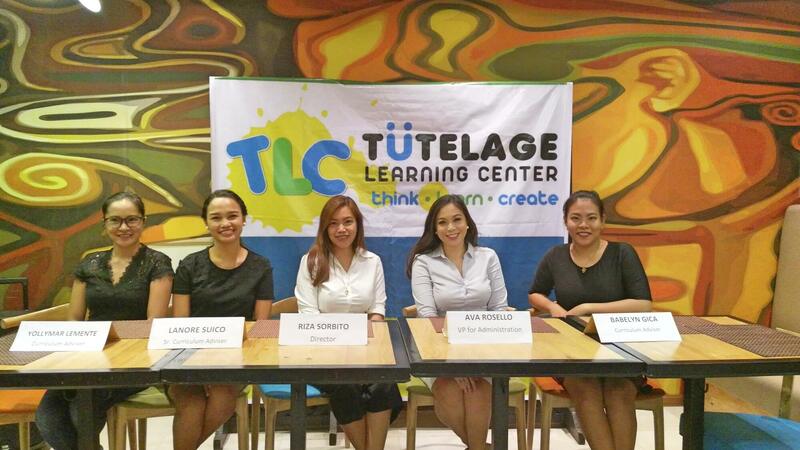 What’s even better for preschool and elementary kids, Tutelage Learning Center (TLC) will start classes on August 1, 2017 in a second and bigger branch in Pakigne, Minglanilla. Ava Kristine Rosello, vice president for administration, said they offer all levels of instruction from playgroups to sixth grade as well as early interaction programs for children with special needs. Tutelage Cebu started out in 2006 with tutorial programs to aid schoolchildren and added classes gradually until they were able to offer the complete primary education levels. Its first school is located on Edros Road, Cebu City. PROGRESSIVE EDUCATION. Officials of the Tutelage Learning Center talk about their school in a press conference. TLC will start classes on August 1, 2017 in a second and bigger branch in Pakigne, Minglanilla. TLC espouses the John Dewey method of instruction, which follows the progressive rather than the traditional way of teaching, explained senior curriculum advisor Lanore V. Suico. She added that aside from the fewer students in Tutelage classrooms, they are also active participants, problem solvers, and planners in classes. “John Dewey believed that kids learn best if they are doing the activities firsthand. At Tutelage, children express their thoughts and ask questions,” Suico also said. Curriculum adviser Yollymar Lemente said that aside from the learning they get from academic lessons, kids are also taught such competencies as finance and life skills. Riza Sorbito, TLC director, said their ratio per teacher is six to eight kids for the playgroup and nursery levels and 12 for the graders. She said Tutelage is K-12 ready and has accreditation from the Department of Education (DepEd). The school, she assured, has zero tolerance for bullying but teachers promote positive discipline. Tutelage Learning Center decided to open in Pakigne, Minglanilla to cater to residents of the town as well as those in Talisay and Naga.